Career Skills Development for Young Adults on the Autism Spectrum and with Learning Difficulties. This self-guided workbook is suitable for young adults aged 16-26 with ASD (Autism Spectrum Disorder) or LD (Learning Differences), to teach the necessary skills for entering the workforce and forging a meaningful career path. Providing insight into a range of industries and workplace settings, this workbook will help you to support young people in choosing rewarding and successful careers. 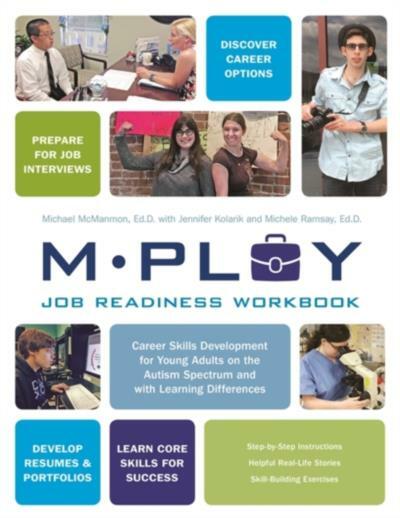 Detailing the College Internship Program's (CIP) successful Mploy program, the information in this book will help young adults to develop self-confidence and build social connections. Including activities and ready-to-use worksheets, this is a focused look at preparing for work.